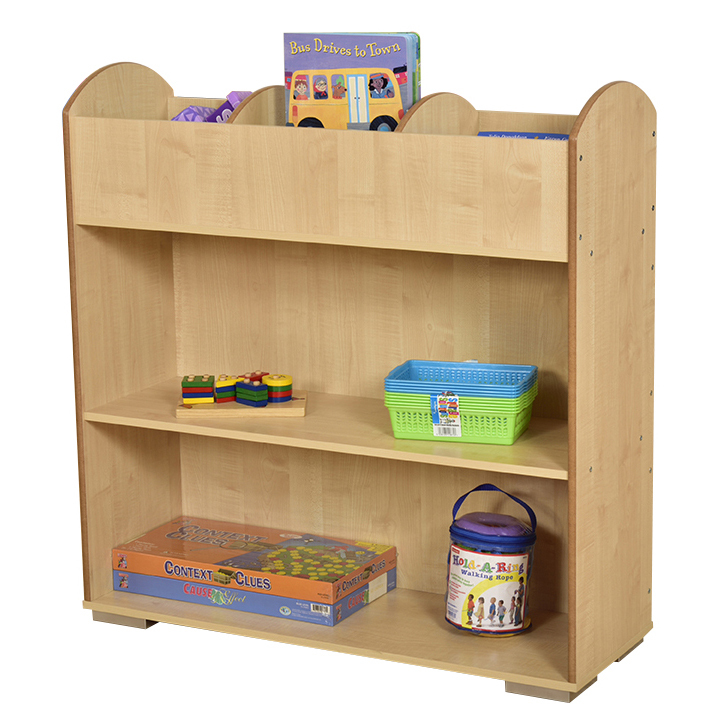 This versatile bookcase and browser unit comes into its own in any busy classroom environment. The unit has 2 bookshelves with a shelf depth of 315mm and a clearance height of 350mm. The 3 browser compartments on top of the unit each measure H230 x W310 x D300mm. Edges are rounded and polished. Supplied on feet for stability.